I would like to respond to 'low carb second serving's' statement, "Not nearly as good as "Black", the first novel in this trilogy, and you would have to read that one first to understand this book." Since this is a trilogy, of course it needs to be read in order. Yes, please read Black first! This is a series of books not to be missed and in my opinion the best Christian fiction I have read to date. 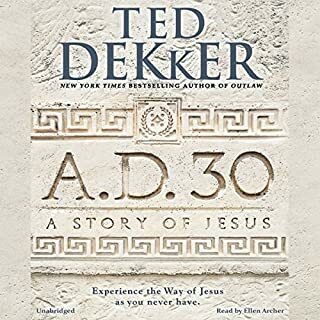 I appreciate Ted Dekker's creativity and Christian insight. It is very innovative and a satisfying read! Wow this book kept me coming back for more. It had action and adventure while maintaining one of the most amazing love stories possible. I highly recommend you read Black then Red. 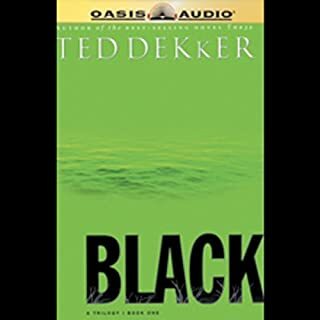 Well I am off to get White by Ted Dekker. I read "Black" in print. I couldn't put it down. But I was hesitant to switch to audio for "Red". What a relief! And what a joy! The story was every bit as exciting and spellbinding as the first book. The characters are interwoven so elegantly. Hardly "paper-thin" by any stretch. 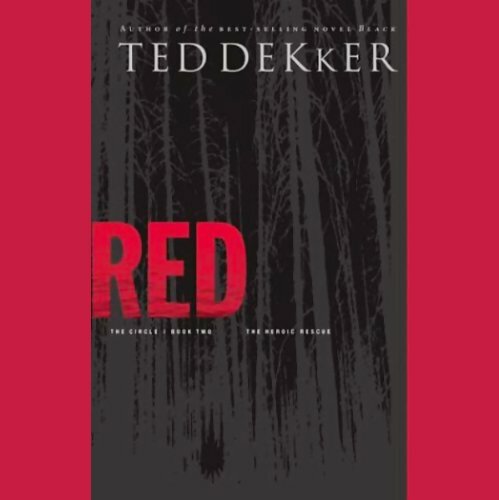 Half-way through hearing "Red" I caught myself spending much time contemplating the relationships between characters and their likely evolutions. I began thinking of them almost as actual people, not characters in a story, and the events as real happenings in the world. I actually worried about these people. Ha! The narration was quite good. That, also, was a relief. 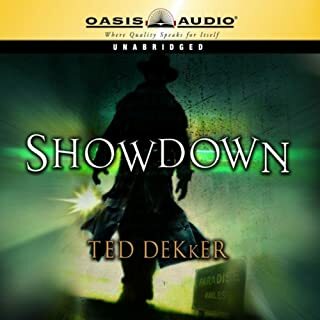 My only concern with the reader is that he seemed to confuse or accidentally exchange the characters' voices from time to time during fast-paced dialogue. It didn't really detract from the experience, but it was noticeable. I won't bother flipping through "White" in the book store. 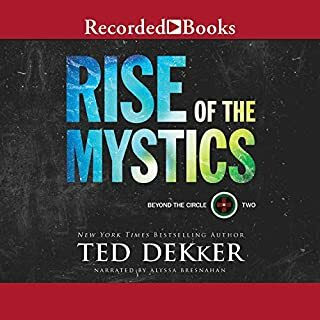 I'm going to download the audiobook tomorrow! This book suffers the fate of most middle books of a trilogy. It basically slogs along explaining the first book in more detail and setting up the last book of the set. Don't get me wrong - it is a good book. It does have subplots to add interest and there is some progress towards the end game but it is slow getting there. All of that said, I am looking forward to "White" and will listen to it shortly. The reader is fantastic!!! You know which world you live in but reading this book makes you wonder which world will end up being the real one for Thomas Hunter. 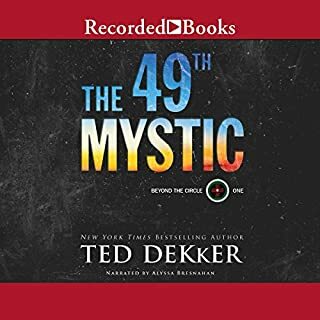 I love mystery and have not been a big fantasy fan but this book mixes mystery into both worlds in such a way that it captivated me with its intrigue. I am anxiously waiting for 'White". Do you like Thomas Covenant? 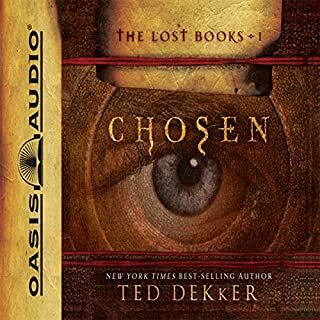 This book reminded me so much of the Thomas Covenant Chronicles. A mix of fantast and reality, keeping you wondering which was the REAL reality. If you know the Bible you'll pick up on the references pretty quickly. If you don't, this is still a really good read. Moving on to Black ASAP. As far as a guy that is not religious, the symbolism of the characters in the two worlds as they relate to religious beliefs was lost on me. From my limited knowledge of the bible, some of the references made sense. But many went right over my head. So the deeper meaning of the book was pretty much lost on me. The literal story was intriguing and fast paced. If you have read or heard "Black" then this is obviously essential for your personal library.